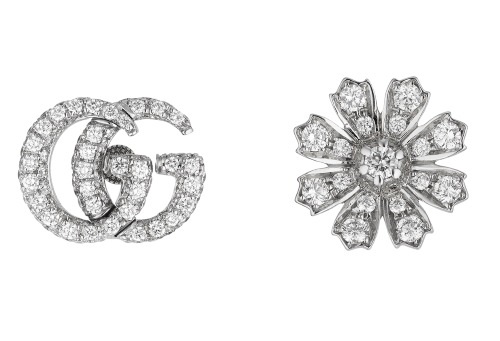 The House is extending its Gucci Flora fine jewelry line with a selection of new, diamond-embellished pieces in 18kt white gold. Inspired by the power and the beauty of nature, the latest designs all display the House’s most recognizable floral pattern. 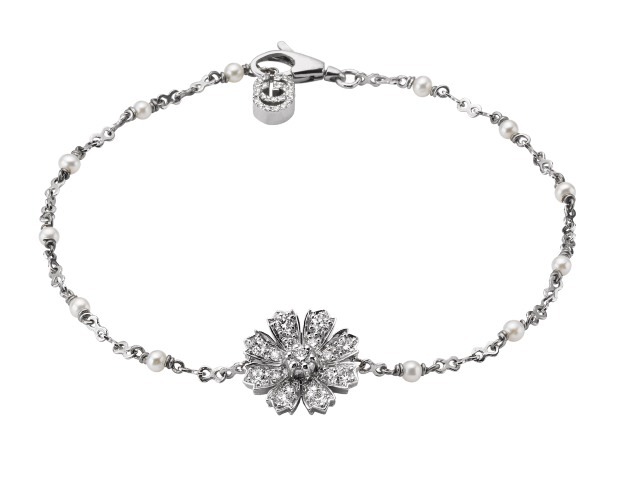 Comprising bracelets, necklaces, rings and earrings, the collection showcases a mix of feminine elements such as flowers and bows, set with white diamonds and decorated with pearls. The GG detail adds an unmistakably Gucci touch. Highlights include two necklaces and two bracelets with delicate chains. One of the necklaces and one of the bracelets are accented with pearl beads. The new rings include a between-the-finger ring, finished with the GG detail and a dainty flower motif, and a diamond-studded floral design. Ideal for creating a chic asymmetrical look, three pairs of on-trend mismatched earrings also feature in the new collection. All three designs artistically combine diamond-encrusted flowers with the GG detail, and the closures of two pairs are enhanced with pearls.